When you have so many good things to share, where do you start? The Growing Place is a locally owned plant nursery with locations in Naperville and Aurora, Illinois. (All images on this post are from their Naperville location) One of my favorite things about visiting The Growing Place is their extensive garden vignettes which they call their Learning Gardens. Each small garden includes everything from an eclectic garden and miniature garden to gardens designed for the specific environment such as sun, shade, dry and moist conditions. They are full of colors and textures as well as designed to have plants with visual interest throughout the growing season. Whether you are a garden novice or a professional, there is something for everyone in their Learning Gardens. Each plant is carefully and neatly labeled so if you see something that you love, you can find it yourself or ask one of the staff to tell you more about. So, let’s talk about the staff. In my last visit to The Growing Place Naperville, no less than 4 people asked if there was any question they could answer or if I needed any assistance. Not in a up-in-your-face kind of way, but in the we-love-what-we-do kind of way. You will never, ever get that at a big box store garden center. I had a nice chat with a staff member about a unique plant that they were carrying and although I knew it is an unusual plant, she knew everything about it’s growing habits and was pleased that I had noticed the plant among all the other beauties nearby. Kudos to The Growing Place for helpful and knowledgeable staff. The Growing Place offers classes and events throughout the growing season for adults and children. Take a moment to add one to your calendar. They carry one of the largest selections of succulents and miniature garden plants and accessories that I have seen around Chicago. If you are interested in either of these or are an expert in them, you should stop in and see what they have. Need a gift for a gardener or maybe a unique housewarming gift? I absolutely love some of the one of a kind pieces that they carry. My family loves fresh produce and my husband and I try to support local growers. Whether we are shopping for fresh fruit to make jam, in season produce for homemade baby food or just to find something that looks delicious to make for dinner, Farmers Markets are a frequent destination for our family. My husband searches out his favorite buckwheat honey, I’m always perusing plants and my 8 year old can spot fresh baked goods in 4.7 seconds. We must not be alone because according to the Illinois Department of Agriculture, Illinois is third in the entire US for the numbers of Farmers Markets we have. I found that statistic to be both surprising and encouraging. I live in a Chicago suburb that doesn’t have its own Farmers Market which means we travel around from place to place visiting different Markets in the Chicagoland area. They are all so different and have amazing growers from all over the Midwest. I absolutely encourage you to support your local Farmers Market, but consider visiting another nearby as well. Since they often are held on different days and time in different locations, you can choose one available when you are. There are also website directories of Farmers Markets at FamersMarketOnline that lists Markets by state and also at LocalHarvest. 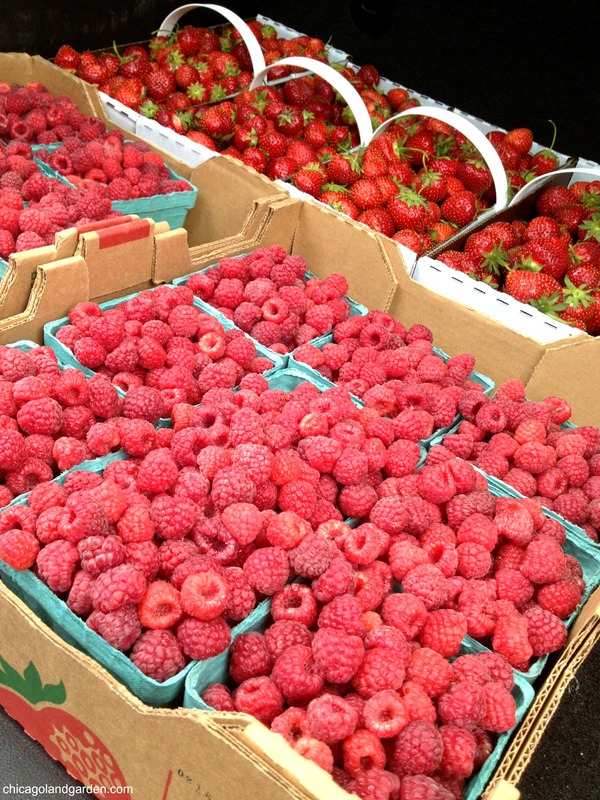 Tis the season… the Farmers Markets are brimming over with bountiful harvests right now. Have a chat with the wonderful people who sell what they grow and are happy to see it move along to the next person who will enjoy the fruits of their labor. Search one out near you and come back here to tell me about it! What would a cottage garden be without English roses? Mary Rose was one of the very first David Austin Roses that I added to my garden and a major reason that I have since added many, many more. David Austin is a rose breeder from England whose roses often combine a rare combination of old garden rose form and modern rebloom. A “David Austin” rose is considered the “English Rose.” They are often hardy and reliable performers in my zone 5 garden. Mary Rose is one of his older and more readily available varieties. I have seen why it remains solidly popular over time as it stands out year after year. In my garden, Mary Rose has grown to over 6 feet tall and in her best year, there were over 100 spectacular speckled pink blooms in the spring flush. There is a mild, sweet smelling perfume that gently wafts from this rose. I don’t find Austin roses to be particularly long lasting cut roses but as you can see from the pictures in my garden, they are absolutely stunning specimens in my garden beds and I wouldn’t trade them for most of the other roses in the world. A few glimpses of my very own zone 5 cottage garden. I take a lot of pictures. A lot. At some point I noticed that I have a lot of pictures of benches from our adventures. A lot. I’m enamored with the contrast of something man-made placed in just the right spot to inspire taking a moment to rest and enjoy the beauty of nature surrounding it. 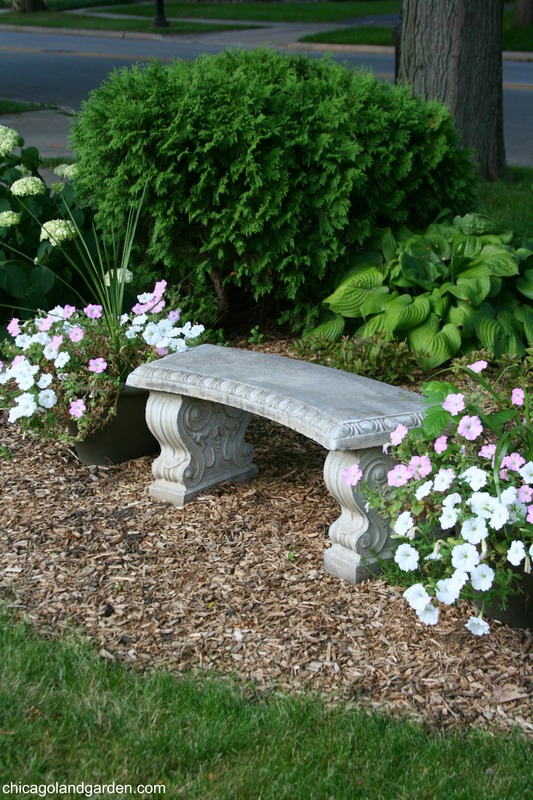 Every garden bench is an opportunity to embrace a moment. Many more benches to come. 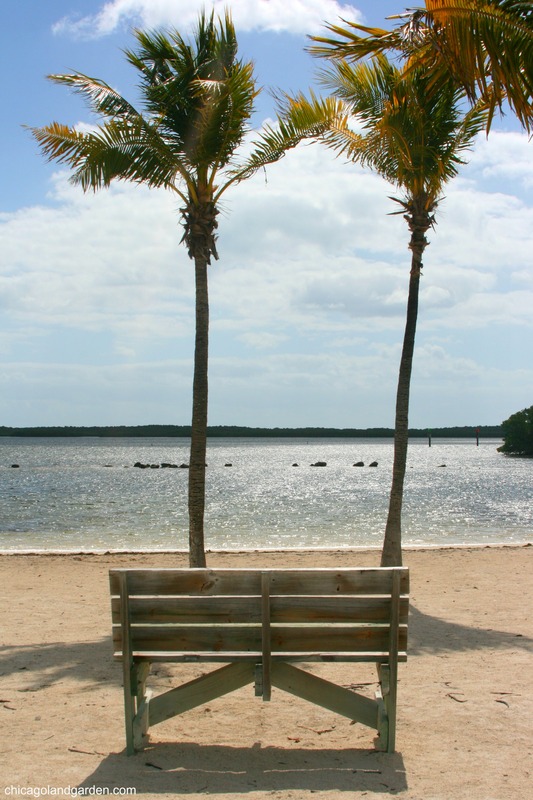 In the meantime, have a seat and enjoy the view. Elk Grove Village, Illinois has a weekly Farmers Market located in the parking lot next to the clock tower off of Biesterfield Road. We stopped in early last week and my daughter promptly found homemade cherry cider from A Taste of Michigan Cherries, my husband had a fresh baked chocolate croissant from Katic Breads, and I signed us up for bi-weekly milk deliveries from Oberweis. I also spent a few minutes chatting with the University of Illinois Master Gardeners that have a booth set up there each week to answer any questions. The ladies were lovely and I encourage you to stop and ask any questions you may have. The Elk Grove Village Farmers Market also has free weekly children’s activities and a great Facebook page that is updated each week with new vendors and in-season produce. Stop by this Saturday for local fresh corn and honey! Where can you find over 8 acres of designated park originally designed by the great landscape architect Jens Jensen in 1929 that boasts over 800 lilacs and 25,000 tulips? In the “The Lilac Village” of Lombard, Illinois of course. Wide paths meander past bed and after bed of fragrant lilacs and brightly colored tulips in Lilacia Park. This public park is free to enter and has adjacent free parking available. It is also steps from the Lombard Metra stop. While Lilacia Park offers a worthwhile stroll any time of year, it is spectacular in the spring when the lilacs and tulips are in bloom. Of course, the timing of the height of bloom varies every year based on Chicago’s irregular spring weather. You can check the Bloom O Meter each spring to time your trip to the park when it is in full bloom. It often coincides with the first two weeks of May which is when Lombard holds an annual two week celebration called Lilac Time which includes a parade, an art fair in the downtown and other special events. 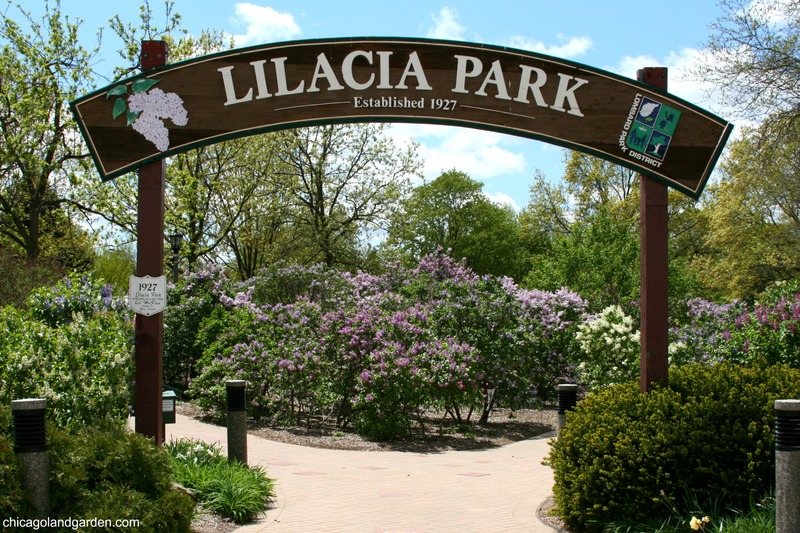 For my fellow garden lovers, the Lombard Historical Society holds an Heirloom Lilac Tour during Lilac Time that focuses on the horticulture within Lilacia Park. Parent Tip: My older daughter loves our annual trip to roam the paths at Lilacia Park. Just a few blocks north of the park on Main Street, there is also an old school walk-up Dairy Queen complete with a neon sign. On warm spring days, she always remembers to ask if we can stop there for a cone to bring to the park with us. To be clear, there is no play area or play set in Lilacia Park for the kids, but the kids I have brought love to wander the paths and run up the hills in the center. I also find Lilacia in spring to be one of my favorite family photo locations. In the last five years, we have two holiday cards that features pictures taken during Lilac Time. Jens Jensen once said, “Every plant has fitness and must be placed in its proper surroundings so as to bring out its full beauty. Therein lies the art of landscaping.” I think even Jens Jensen would be pleased to see how Lombard has continued this art in Lilacia Park’s rolling hills and open vistas combined with well planned pairings of gorgeous spring blooming flowers and meticulously labeled plants. It’s worth the visit! My family loves fresh produce and we don’t have the room in our yard to grow as much of it as we’d like. (Well, unless I converted flower beds to fruit and vegetables which isn’t going to happen any time soon!) The greater Chicago area and into nearby Indiana, Michigan and Wisconsin are FULL of fabulous U-Pick locations. We make a day excursion out of it, sometimes stop to see other things on the way and always find a great local restaurant to recoup after we are done with our harvest. We pick strawberries, raspberries, apples and blueberries every year. This year we plan to add peaches to that list! Most U-Pick farms are family owned, child friendly and offer pre-picked orders if you want to supplement what you will be able to pick yourself. I recommend you either call ahead to make sure that the crop you want is available for picking on a given day or check the farm’s website and/or Facebook page for updates. As we visit U-Picks around the midwest, I will also share the details of each visit here on chicagolandgarden.com. Parent Tip: My older daughter has a set of sport/hiking/camping walkie-talkies that adults use when they don’t want to rely on cell tower coverage for outdoor activities. These are a fantastic communication tool to bring along to a U-Pick farm if the family splits up to pick in different sections or fields of the farm. PickYourOwn.org – State by state listings of U-Pick farms as well as crop calendars and information on preserving extra produce. Follow them on Twitter and like them on Facebook for more information. OrangePippin.com – State by state listings of apple, plum and cherry orchards and information on different varieties of each. Follow them on Twitter and like them on Facebook for more information. University of Illinois Extension – Listings for raspberry farms, strawberry farms and apple orchards in Illinois, Indiana, Michigan and Wisconsin. I adore iris. Their blooms of intricate ruffles are as unique as their spiky, deep green foliage that brings great contrast to your garden throughout the growing season. If there was one downfall, it would be that the bloom time for iris is traditionally a few short weeks in the spring. Enter reblooming iris. 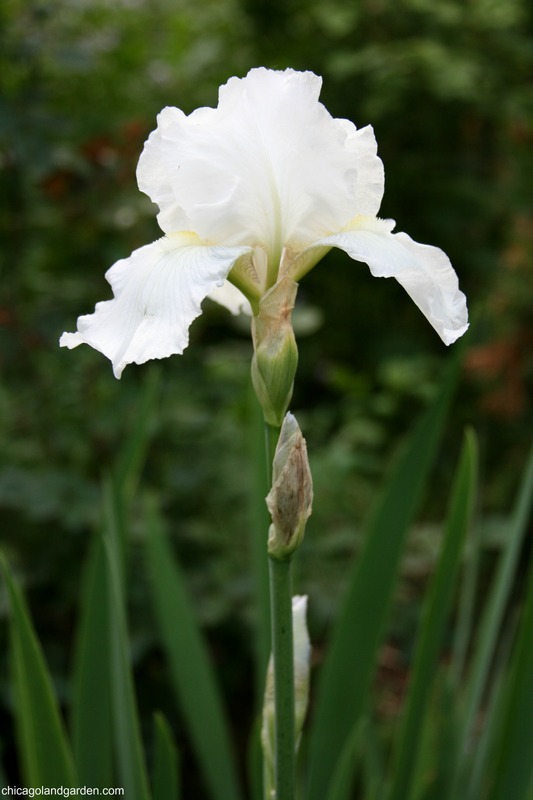 The iris in this group have a tendency to bloom early enough in the spring to generally get a second bloom in the fall if the weather conditions are favorable. There is even a division of the American Iris Society (AIS) dedicated to these surprise creatures called the Reblooming Iris Society (RIS). A few years ago, I decided to dip my toe into reblooming irises with a well known and reliable performer named Immortality. 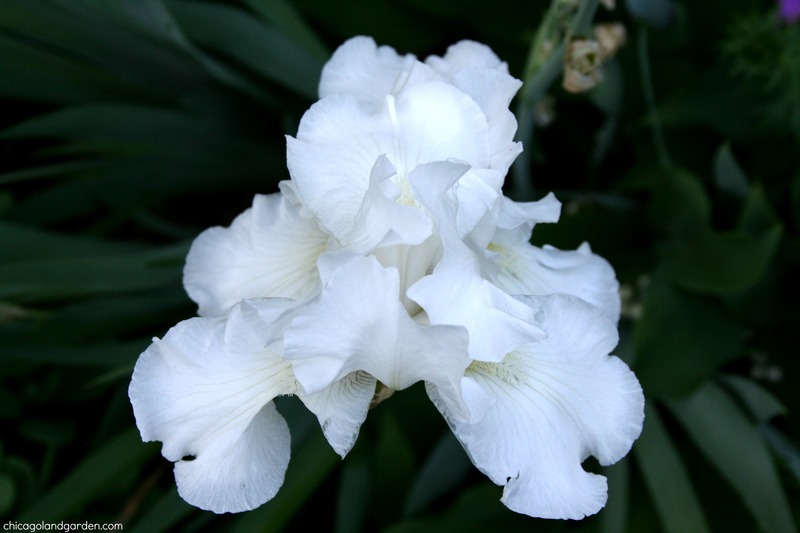 Tall, pure white flowers stand out in any garden, but this iris is spectacular in both its form as well as the ethereal glow that seems to emanate from the bloom. After the first year, it has reliably rebloomed in my zone 5 cottage garden 4 out of 5 years. Even if it didn’t rebloom, I would have this iris. In my garden, it has also increased well and I have been able to divide it and move the new plants to other beds. © chicagolandgarden.com, 2014 Unauthorized use and/or duplication of this material without express and written permission from this blog’s author and/or owner is strictly prohibited. 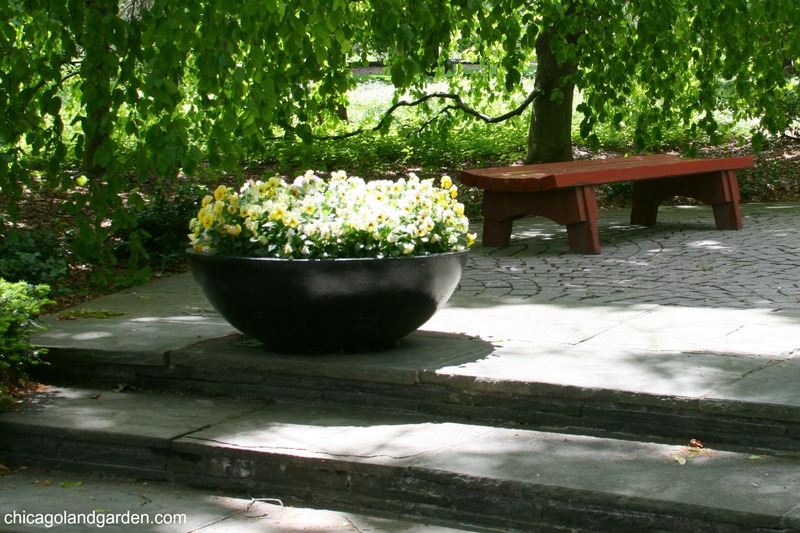 Excerpts and links may be used, provided that full and clear credit is given to chicagolandgarden.com with appropriate and specific direction to the original content. Enter your email address to follow Chicagoland Garden and receive notifications of new posts by email.